Tron Run/r was released on Xbox One, PlayStation 4, and PC on February 16, 2016. The "lightning fast, action-adventure runner" had it's debut on Steam Early Access in October of 2015. Tron Run/r includes more than 30 levels and two gameplay modes--"Disc" and "Cycle,". The game's "Stream" mode aims to challenge players with remixed levels. Players are also able to upgrade and customize their avatars with "dozens" of elements to choose from—including light cycles, suits, and helmets. 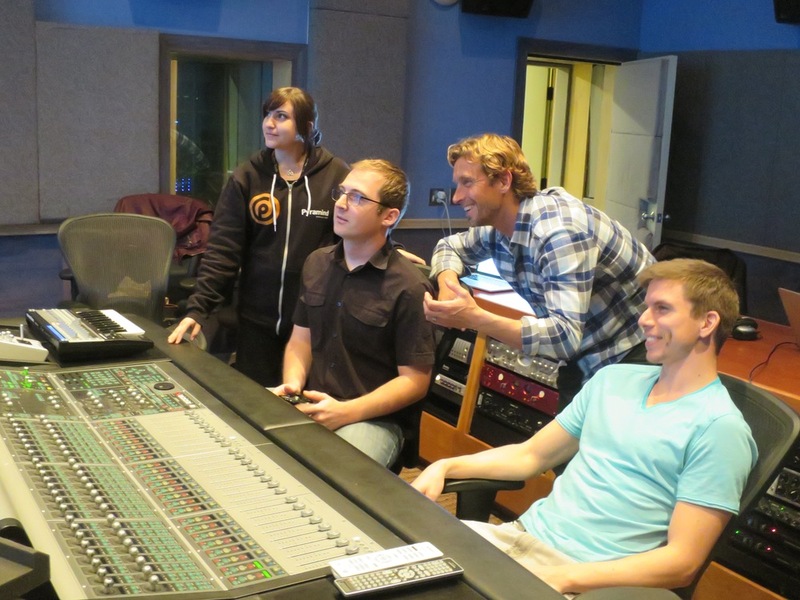 Pyramind Studios' Greg Gordon and alumni music producers Connor Mooldyk, Diego Perez and Gokhan Tandokan created four additional remixes, each of which appear on various levels in the games Disc Mode. Watch The Breakdown to see the Push 2 in action and to get a behind the scenes look at how the remix was created including some time saving tips. 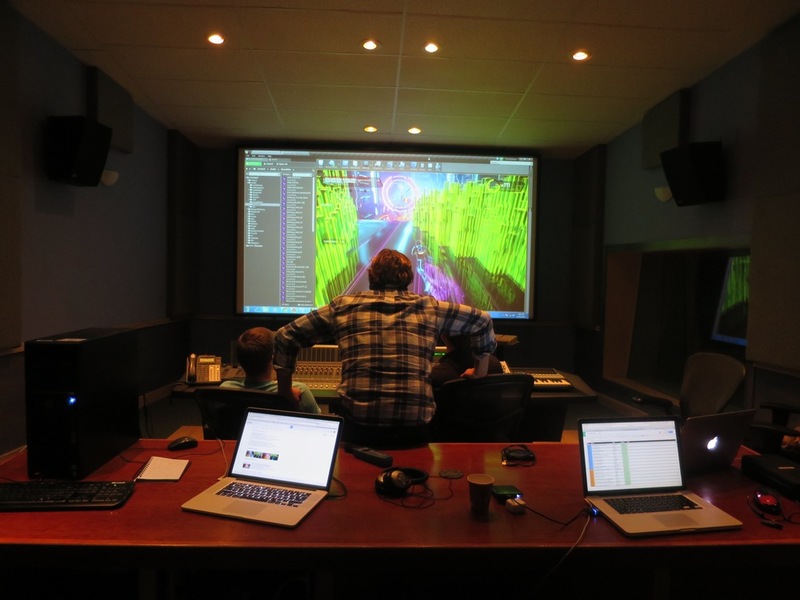 The game was mixed in 5.1 surround using Unreal Engine 4 in Pyramind's Studio A. 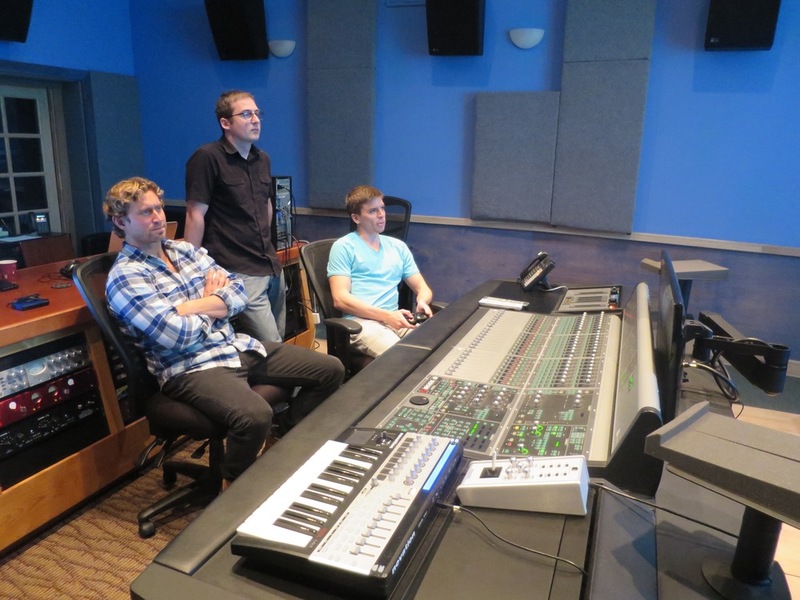 On hand for the sessions were Disney team members Nick Gallant (Audio Director), Clay Barlow (Audio Producer) and Pyramind Graduate Jonathan Buch (now Senior Audio Coordinator at Disney). 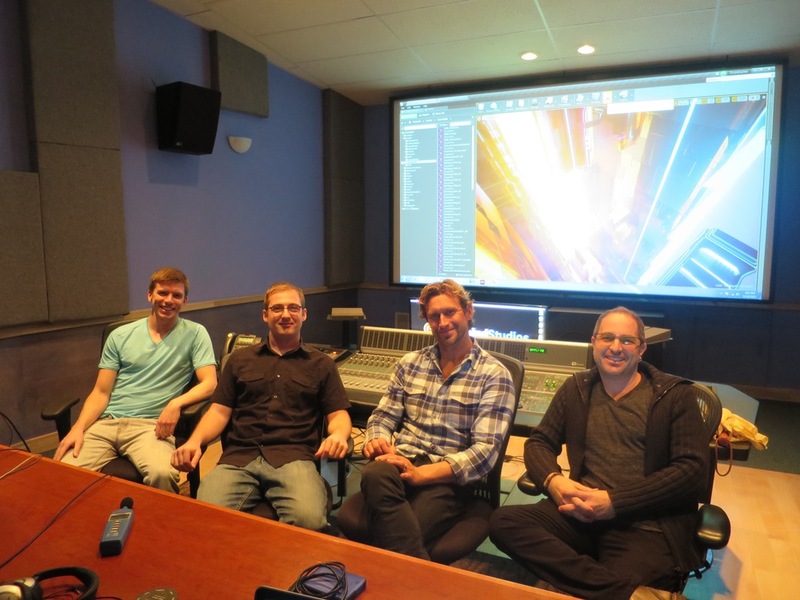 Pictured Above: Jonathan Buch (Disney Senior Audio Coordinator and Pyramind Graduate), Clay Barlow(Disney Audio Producer), Nick Gallant (Audio Director of Disney Interactive), Ophylia Wispling (Pyramind Associate Producer and Studio Manager), Greg Gordon (Pyramind CEO & Director Of Production).